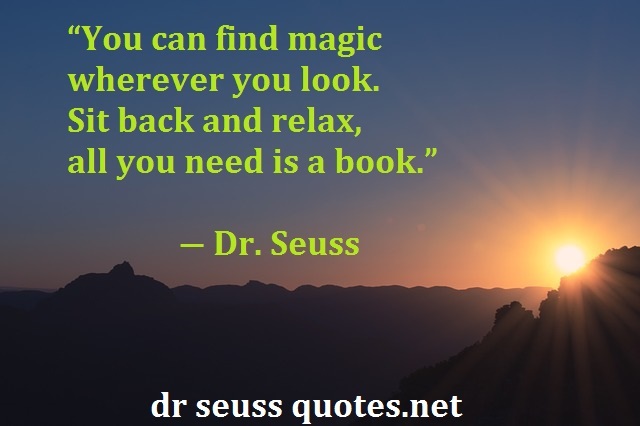 Theodor Seuss Geisel was his real name, he adopted his “Dr. 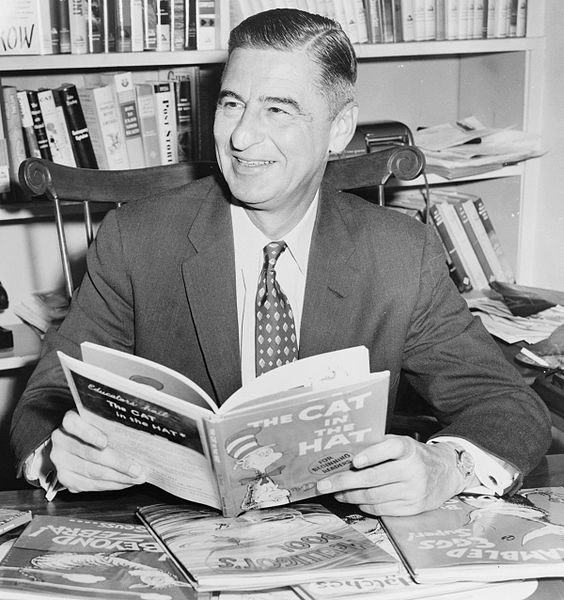 Seuss” pseudonym during his university studies at Dartmouth College and the University of Oxford. After leaving Oxford in 1927 he began his career as an illustrator and cartoonist for Vanity Fair, Life, and various other publications. He also worked as an illustrator for advertising campaigns, most notably for Flit and Standard Oil, and as a political cartoonist for the New York newspaper PM. He published his first children’s book, And to Think That I Saw It on Mulberry Street, in 1937. During World War II he worked in an animation department of the United States Army, where he produced several short films, including Design for Death, which later won the 1947 Academy Award for Documentary Feature. 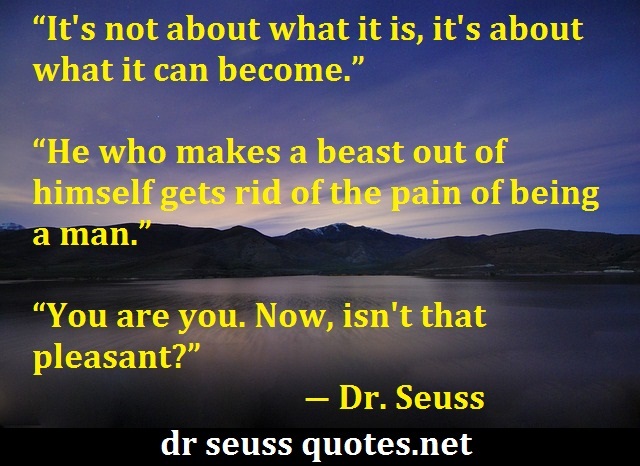 Below is a list of Inspirational Dr. Seuss quotes. 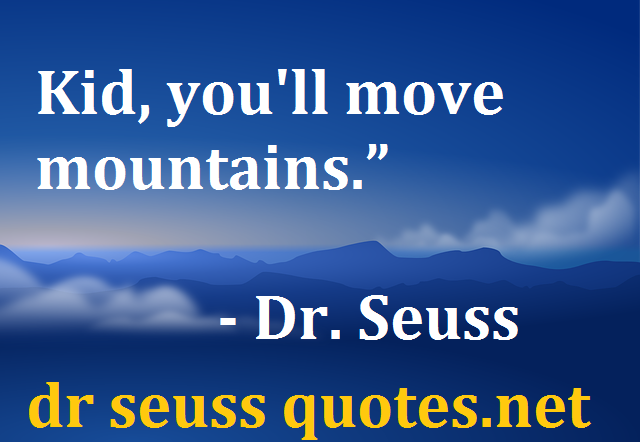 All these Dr. Seuss quotes listed below are full of wisdom, and have the power to motivate and inspire you. “I can read in red.